20-70 Mbps on LTE? 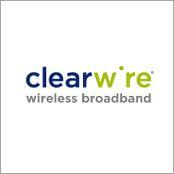 Clearwire says yes! Cloud. 4G. Multitasking. Open Source. The IT field is filled with more Buzzwords today than ever before. The most stirring of which lately has been 4G. This seemingly undefined thing trying to encapsulate the “next generation” of data transmission for wireless systems. The problem is the lack of definition allows anything from 5-500mbps be called 4G. With all the news coming out of 4G phones and devices, how fast will they really be? Clearwire answered with force today on it’s deployment strategy of it’s LTE network. This isn’t the first time we have heard of Clearwire possibly going LTE as an upgrade of it’s existing WiMAX network, in order to provide greater speeds. Clearwire isn’t alone either, as Verizon had already announced it’s intent to go to LTE with it’s “4G” phone lines. Verizon, however, was toting speeds of 5-12 Mbps. Clearwire claims speeds of 20-70 Mbps, a staggering difference within the same technology. This deployment is still in it’s testing phase, so it will still be some time before we get to see it in action. With such a huge difference in capacity, will other LTE providers step up, or will this just be further evidence of the vague and seemingly pointless designation of “4G”? One thing is for sure, I cannot wait to get to see those speeds in the wild!